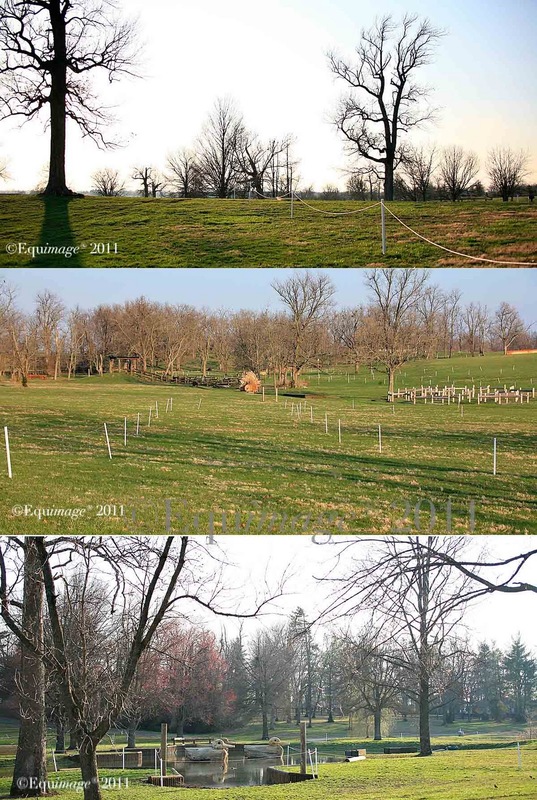 Three views of the RK3DE XC course earlier this week. 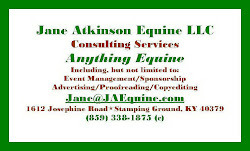 We were in Lexington Kentucky this past week for the Kentucky Horse Council Dinner. During the social hour we had a chance to visit with Kathy Wieschoff, have dinner with Jane Atkinson and Karen Winn Butler, among other Kentucky Horse professionals and enthusiasts. Earlier in the day we spent a bit of time on the XC course at KHP. Preparations are well underway for the RK3DE. The galloping lanes are mostly staked and roped, lots of jumping elements are in place, although not actually installed. So far, this spring has been rainy and wet so the track is muddy. But there is still plenty of time for the track to drain and the water levels to go down. So far, there are 29 entries for this year's RK3DE competition -- by far the most entries are from from abroad. Great Britain will be well-represented this year. William Fox Pitt has entered four horses, Mary King two, and James Alliston two, along with Oliver Townend's and Polly Stockton's one each. And New Zealand will be sending veteran Mark Todd and Joe Meyer. This will be Meyer's first trip to Kentucky for the event. Writing of Rolex -- time is running out if you want to snag a tail-gating spot on the XC course. For $275 or $325 you can relax in your folding chair, sip your Mojito, and enjoy your own personal picnic domain in the KHP -- all while watching the horses gallop by. But you'd better hurry before all the spots are gone! 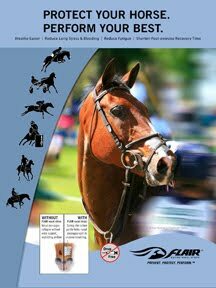 FLAIR® Equine Nasal Strips announced that they have joined the impressive list of Rolex Sponsors. Many have already viewed Three Day Eventing -- The Toughest Sport. Made during the 1980's, this well-produced video features several Rolex Kentucky/three-day eventing legendary figures -- like Mike Plum, Torrance Watkins, Jimmy Wofford and a very young/old bad boy himself, Ralph Hill. Even if you've already seen it, it's worth another look. And if you haven't - be warned -- there is some pretty graphic accident footage in this eleven minute clip that can be tough to watch. Things have changed. While today's courses are definitely difficult, the old courses had a very raw, almost gritty edge to them. This video also reinforces my opinion that Torrance Watkins is the most elegant and skillful of riders. It's has always been a pleasure to watch her ride. Switching gears to another four-star -- arguably the toughest in the world... Horse and Hound's Ben Hobday's quest for Badminton received a boost when he and Joe were accepted into next months competition. We like to follow along with Ben as he and Joe get closer to their destination - the Mitsubishi Badminton Horse Trials. 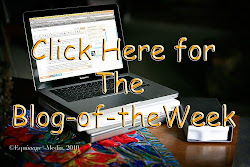 And, today we offer a new guest Blog of the Week (or Weeks if we like it a lot) . 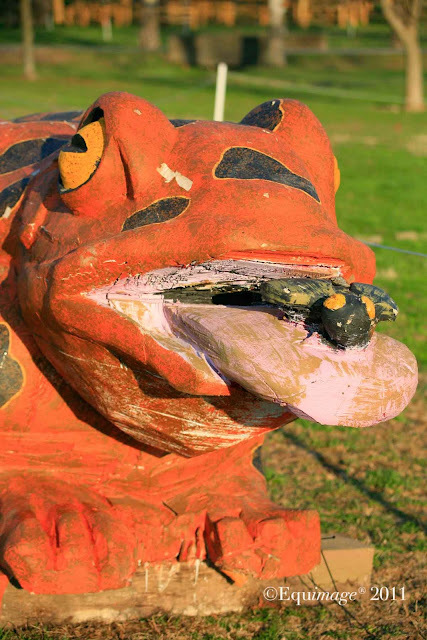 Around here, we are great fans of re-purposed racehorses -- horses we affectionately like to call re-treads. Over the years, we have re-purposed, re-homed, and loved over a dozen retreads and applaud anyone else out there that takes these gift horses in -- giving them new purpose. 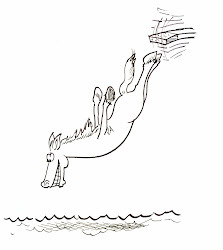 Therefore, in honor of all retreads and retreadders, Eventing Day's latest featured blog is Chloe Ammonds-Nutt's Gift Horse Eventing.